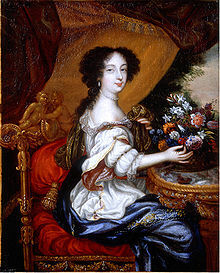 Barbara Palmer (1640 – 1709), Dugez Cleveland, kontez Castlemaine, anavezet ivez evel Lady Castlemaine, a oa kourtizanez ha serc'h d'ar roue saoz Charlez II, mamm da bemp bugel dezhañ, lesanvet "The Uncrowned Queen", tre en amzer Madame de Montespan, serc'h ar roue gall Loeiz XIV. Meur a wech eo bet poltredet, ha dreist-holl gant Peter Lely, livour al lez. 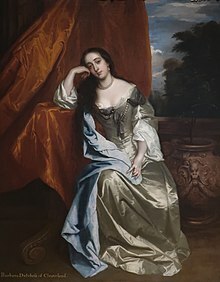 He c'heniterv Elizabeth Villiers (1657–1733), a deuas da vout Iañ kontez Orkney, a oa serc'h d'ar roue William III. Treiñ a reas da gatoligez e 1663. Barbara Palmer zo bet tudenn lennegel e meur a oberenn. Poltred gant John Michael Wright - National Portrait Gallery. Er romant Royal Harlot (2007) gant Susan Holloway Scott.